No, it’s not a musical festival, although it does sound like one. It’s our annual business meeting. But it’s not like any other annual business meeting that you’d likely conjure up in your mind. And it’s not like any other business trip or annual retreat you’ve likely ever heard about. It’s the time of year again when we gather as Foolish employees and take time to look at the year before and the year ahead. We want all employees to see where we have gone in a year’s time as a business. But for us, it’s more than that. It’s more than knowing the numbers that drive our business. It’s more than knowing what we’d like our business to become in the upcoming year. And, it’s more than knowing what to do and what not to do as we progress through the next 12 months. To us, Foolapalooza is also about getting to know each other better. While we have endless stories from past Foolapaloozas, you won’t here them here. (I guess you could say that it’s a bit like the phrase, “What happens in Vegas, stays in Vegas.”) If you are a Fool, you will likely hear them for the next few months, or even years, to come. You may even be cracking up right now thinking of a Foolapalooza memory in your head. But I can let the broad audience in on a small secret – all of these memories have one thing in common … they start with the people we see every weekday. For us, Foolapalooza is about the Fools that attend the event. We don’t invite spouses, families, or significant others – unless they also work at the Fool. We don’t invite friends…Okay, okay, who are we kidding? Fools are our friends. … But we have a reasoning behind this bit of seclusion and isolation – it’s a time for us to revisit or even get to know for the first time how Fools unwind, how they play, and a bit of what they do outside of the office. We are getting to know the person behind the employee. We get to see what makes them tick. We’ve said it before, and we’ll say it again – knowing each other better helps us work better together. The theory is as simple as that. So while the kayaking and basketball playing may be fun, we know at the end of the day that it’s not the what we are doing that makes Fools happy they are Fools. It’s the who with that matters. 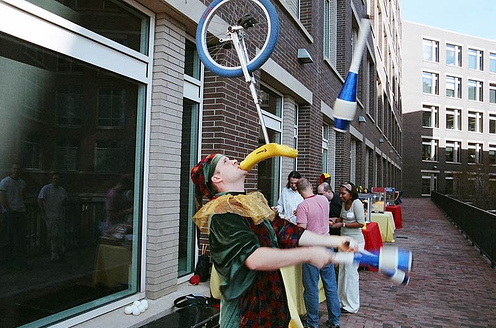 I know you’ve heard and heard, and probably heard some more, about our culture here at The Motley Fool. Some of you may be sick of it by now, but I’m going to go out on a limb and say that some of you may want more – or wonder what it really is that makes our culture so superb. Well, I can’t give you all of the secrets, but I can tell you that it is one full of mischief and passion for everything that you could imagine. As a member of Office Ops – please see the previous post titled “Ode to Office Ops” if you’d like – we make it our team goal to make Fools happy. We go far beyond ordering office supplies and lunch. 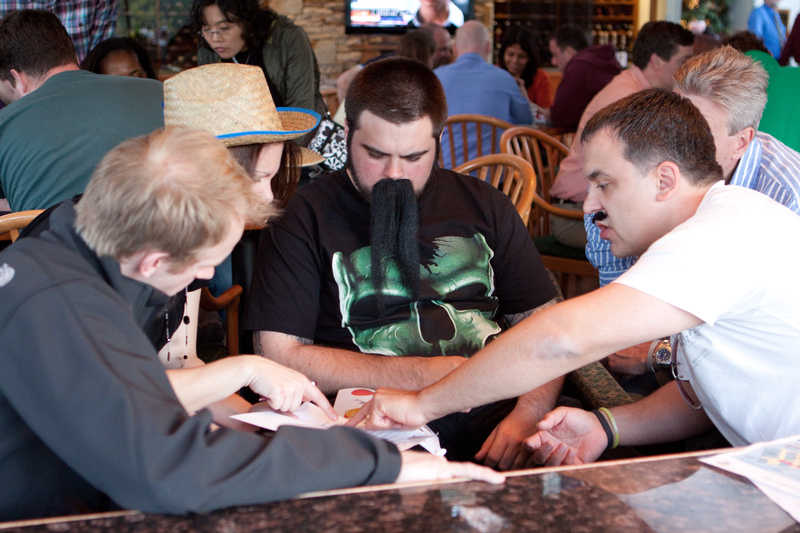 In fact, the Ops team strives to create memorable experiences to enrich Fools’ lives. How do we do that? We make people feel comfortable in their office setting, welcoming newbies at events when they may not know a ton of Fools yet, making sure people have healthy food to grab if they are having a busy day full of meetings, and managing schedules for in-house relaxation benefits – insert the oohs and aahs about our subsidized massages, manicures, and pedicures here. We also plan monthly events – including outings like zip-lining, going to a DC United game, or taking the day to go to Kings Dominion. And we also have in-house events quite frequently – including happy hours, international food day, chili cook offs, and pizza and cake days. We don’t just do this to make it the absolute best place to work in the universe. That’s a given. We do it because we want Fools to have memories with their fellow Fools, with their families, and possibly even with trying things outside of their comfort zones. Some Fools work on a day-to-day basis with other Fools on projects, but it is hard to work with every Fool – so these activities provide the place and time to interact with each other without the actual work getting in the way. 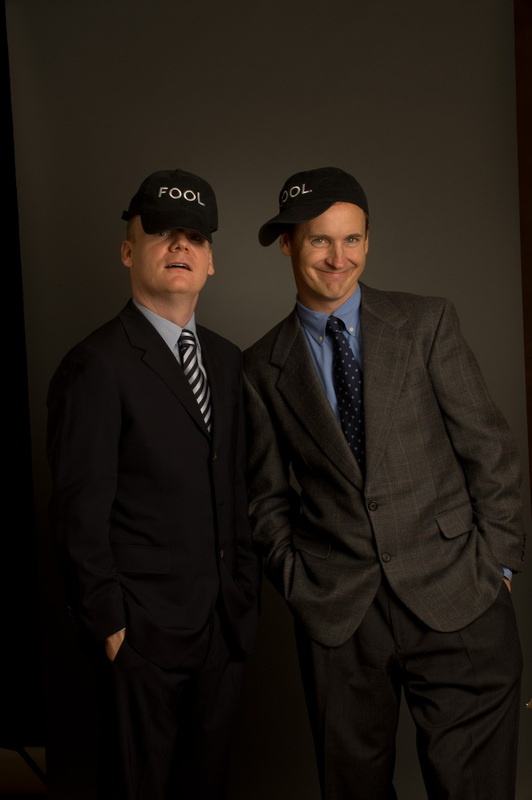 We here at The Fool feel that the better you know Fools – their names, jobs, and personal strengths – the better you can navigate your projects, and the more successful and efficient those projects become. Knowing everyone creates an omniscient collaboration. And as we continue to collaborate and get to know each other personally, we figure out hidden talents – like who can handle a grill, and who can win a Kinect dance off. Being able to pinpoint what makes Fools excited about life only makes all of our work experience that much better. And if we get to partake in a few pieces of cake, and maybe even a massage, in the meantime – well, then, that’s nirvana. After only two months of training, I stood before 150 people for my class’ first improv comedy performance. We were far more anxious that anyone in the audience might have noticed, but one thing that helped get me through was the group of Fools who came to see the show (and, admittedly, the nerve-calming margarita they joined me for before I got on stage). 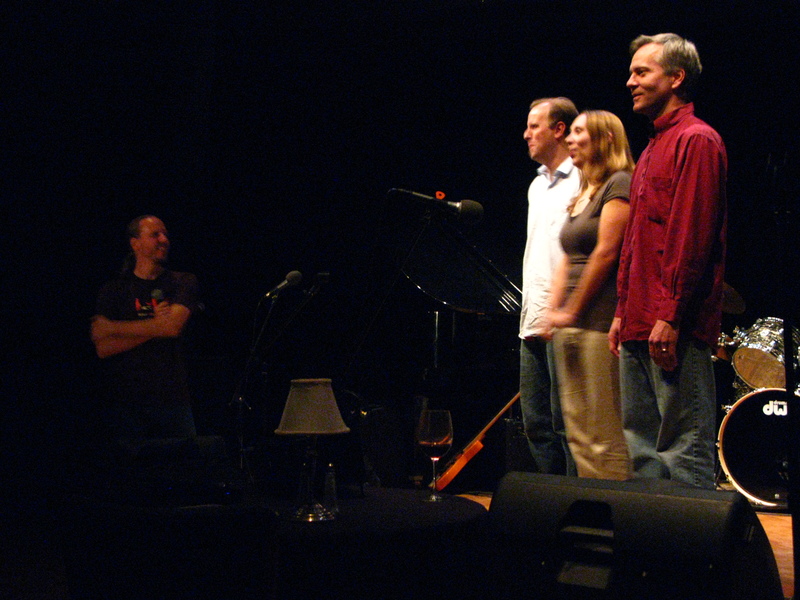 Improv is a serious team-building activity, and I learned a lot of lessons I can apply at work. When fellow Fools took time on a Sunday to support me, I realized a really awesome thing about this company: We’re each other’s biggest cheerleaders! Fools don’t just care about what our coworkers can do for us during the work day. We’re multi-dimensional people – actors, dancers, artists, writers, athletes, photographers, world travelers, and musicians. We have outlets for expressing ourselves in our free time that make us more creative, more innovative, bolder Fools at work. What’s more, Fools are welcome to share their passions at work, either by teaching a class or leading a club. Fools cheer each other on at marathons, check out each other’s art shows, and rock out at each other’s concerts. They teach each other how to knit or fill out an NCAA March Madness bracket. 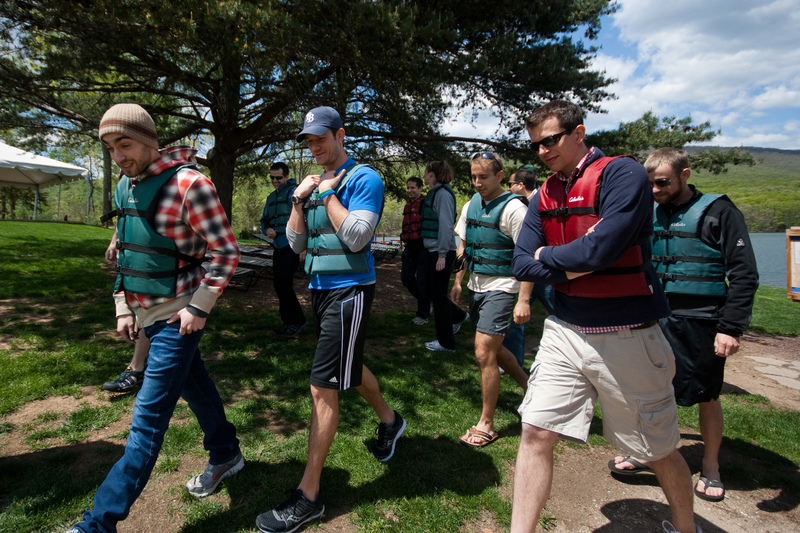 We always say we’re a learning culture – part of that is teaching new software, or running investing cohorts so Fools can experience the same stock-picking decisions our members make – but another part of that culture is teaching each other about the fun things we love to do in our spare time. Sadly, a lot of companies have a culture where employees are looked down upon when their lives outside of work spill into the office. At the Fool, we take an interest in our coworkers’ hobbies, families, and friends, and we love to have a great time with lots of laughter. With improv, we got the best of both worlds. Fools were divided into teams of five people each. In my experience, this is the ideal number for maximizing involvement and productivity. Fewer than that and you’re not taking full advantage of the “wisdom of crowds.” And larger than that? Well, some people start tuning out and you start to see inefficiencies creep in. Teams started by receiving a set of company cards, each with the name of a fictitious company, such as Tickerwaster or Wahoo! Teams had to trade companies with other teams in order to build the highest value portfolio. The catch was that they didn’t know all of the rules of the game. However, they could trade rules with other teams in order to learn all the different ways that portfolios were scored. Teams also received a map with the locations to five puzzles. When they solved a puzzle, they received additional cards and rules. And so on. At the end of the event, the team that turned in the most valuable 10-card portfolio was the winner. A real-live Shakespearean troupe performing versions of popular financially themed movies (Wall Street, Slumdog Millionaire, Trading Places, etc.). Building a sandwich out of ingredients printed on transparencies (which when stacked correctly revealed a secret message). Matching 10 bandanna pieces according to clues printed on the edges (which then formed a recognizable shape). And the teams absolutely loved it. So many people told me later they were skeptical about the event, but once they got into it, they had a great time. Of course, I was elated. It was clear that everybody had a good time. But it was also clear that people got a lot out of it. They bonded with co-workers. They overcame initial fears of feeling stupid, and ended up feeling much smarter as a result. And they learned to work efficiently and productively with a group of fellow Fools that they didn’t really know that well – which was my hope from the beginning.